A Montreal-based startup company called mighty cast is working on an electronic wristbands named Nex Evolution to which new features can be added. It is started selling at $50 at the year 2014. This wristband contains basic components such as a vibration motor, microcontroller, a low-energy Bluetooth radio, and a battery that will last three to five days based on the usage. Nex Evolution was exposed by Adam Adelman way back in 2012. 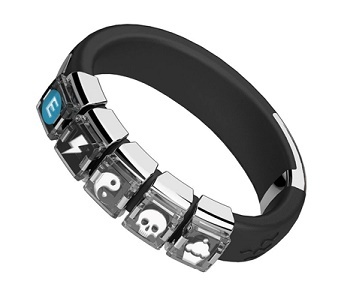 The NEX Evolution wristband will be sold with one working mod which can do things like alert you to incoming phone calls, new text messages or social-network updates. The NEX Band grabs the interest of younger generations. Adelman says "the device will be aimed initially at the teen markets, with features that let customers to send secret messages to friends by way of blinking LEDs". Each mod in the wristband contains a unique identification number and a multicolored LED. When you snap a mod onto the band, the band will read that ID number and broadcast it to a remote server via an app on your mobile phones to get instruction about how many people have owned it, how far it has reached and what its functions are. As said before it contains a vibration motor, a microcontroller, a low-energy Bluetooth radio, and a battery. •	Turn Nex into a touch-sensitive controller. You can take selfie; control your music or anything you want. •	Get colorful apps notifications from the get-go, or create your own for whatever you want. •	You and your Nex-wearing friends can also send each other light messages or play games, like Simon. •	Tap your NEX band to share your location with your friend or family via email. •	User can play games, music etc..